It is amazing how many pizza recipes and variation are out there. 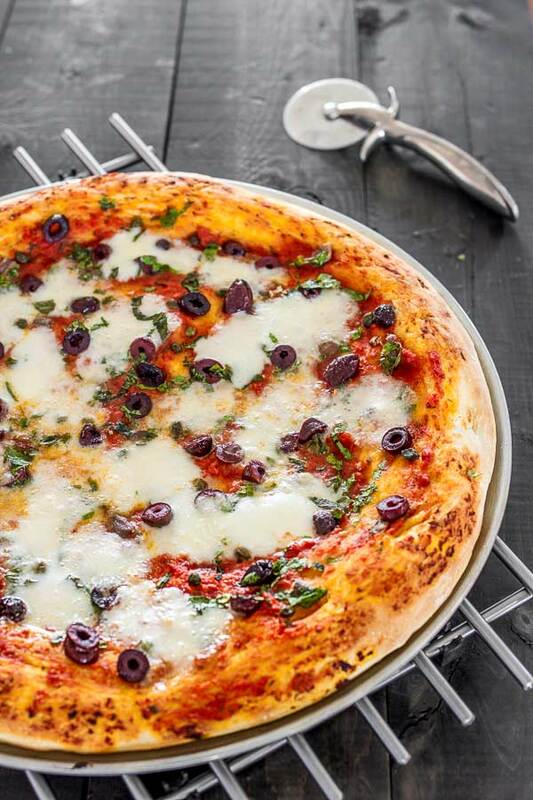 No matter how much imagination you think you have when creating a pizza, there is always a recipe for it out there (well, most of the time anyway). One thing is for sure, people love pizzas… any pizza… and so do I, which takes me back to my latest post. Initially I thought BakingGlory.com would became some sort of pastry and bread baking site, at least that was my wife’s idea when she created it, but no matter how much enthusiasm you might have for doing something, you also need to have the time for it, so between her main blog and the day job, there wasn’t any more room to fit in another one and she gave up. At this point I took over, thinking I would be able to take care of it (didn’t work out though) and started experimenting with baking recipes, most of the time re-making some of hers because baking was/is pretty hard and you have to have a knack for it, which I don’t really. I am a pro when it comes to pizza though, which brings me back to the point I was trying to make. As you may have noticed, I am pretty focused on pizza recipe nowadays but it wasn’t always like this. A couple of years back, I went into the bread making territory. I mean I really went full throttle, buying bannetones, growing my own sourdough, the whole nine yards and I was making bread like crazy too. Unfortunately all of my previous experiments, though delicious, were not picture worthy (:P) so I have nothing posted yet but maybe, some day, I will get back to it and throw some recipes in. Heck, I still have the sourdough, the thing is too stubborn to die anyway. On a side note, if you ever wondered how we came up with the BakingGlory name, it is easy, my wife did. At the time we were heavily playing World of Warcraft and that’s how she came with the name, there was a guild called glory something I think and that was it. Whenever I needed some sort of name for a domain or recipe or God knows, she will only give something that was WoW related… pretty annoying. But enough reminiscing. This pizza is a sweet combination between Margherita and Spaghetti alla Putanesca. If you ever tried them before you know what I’m talking about but if you didn’t, then you will find all you need to know in my recipe bellow. One bit of warning though, the pizza is quite a bit salty due to capers, olives and anchovies but it goes great with cold beer or some chilled white wine. Regarding the sauce that I used, it was the leftover from another recipe of mine, Tortellini with Homemade Sauce. It was great! Enjoy! Use half of my easy pizza dough recipe and stretch it onto a big 12" pan. Generously spread sauce over entire surface; use either pizza sauce or mine. Sprinkle ½ pound diced mozzarella, dried oregano, torn basil, pepper and drizzle a bit of olive oil. 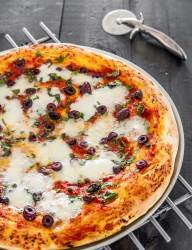 Top up with chopped garlic, anchovies, capers, olives and a generous amount of fresh parsley. Bake on 500° F / 260° C until golden. Usually 10-15 minutes, depending of your oven.